Over the last two decades, the TVS motor company started rapidly losing its market share owing to tough competition from the Hero and Honda in the commuter motorcycle segment. Moreover, thanks to the success of Bajaj Pulsar, Indian motorcyclists were now eager to get their hands on relatively powerful machines. TVS Apache has been awarded as Performance Bike of the Year in 2008. This urge was sensed by the folks at TVS, who introduced their performance oriented series of bikes, named the Apache, back in the year 2007. Presently, the Apache series has three products under its umbrella – Apache RTR 160, Apache RTR 180, and Apache RTR 180 ABS. There are no versions of the moped available. It has 70 cc engine, petrol as fuel and automatic transmission. There are 2 versions of this motorcycle with each having 2 start options. It has 2 engine, 1 transmission, 1 fuel option and different ex-showroom price. There are 3 versions of this scooter with 2 engine, 1 transmission, 1 fuel option and different ex-showroom price. There are no versions of the motorcycle available. It has 110 cc engine, petrol as fuel and manual transmission. There are no versions of the motorcycle available. It has 109 cc engine, petrol as fuel and automatic transmission. There are 2 variants of this motorcycle with 125 cc engine, manual transmission, petrol as fuel and different braking mechanisms. There are 2 variants of this scooter with 110 cc engine, automatic transmission, petrol as fuel and different braking mechanisms. My TVS bike insurance has already expired. Is vehicle inspection mandatory? Yes it is mandatory- Fix up an appointment for the inspection of your TVS bike. Do note; this can invite a nominal fee. If the insurance company chooses to offer you the coverage, you can make the payment and get the policy in hand. However, if you are lucky enough, inspection may not be mandatory. Yes-an online policy is very much valid. You can also renew your TVS bike insurance policy with a debit/credit biked or even through net banking. Although, for expired policies you will have to contact us for an offline renewal process. You should opt for a long-term or multi-year two-wheeler insurance plan for your TVS bike to enjoy pure convenience and be completely stress-free. You can save on premiums, eliminates the hassles of yearly renewals, skip the paperwork and avoid the gap in coverage since you are insured for an extended period. 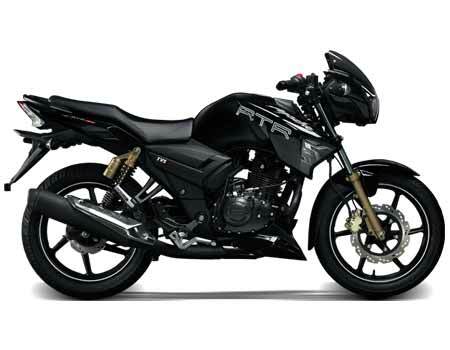 Can I pay for my TVS Apache two wheeler insurance in instalments? As per the Insurance Act 1938, no risk cover can be resumed unless the full premium is received in advance. You will need to pay the full premium in advance for your TVS Apache two wheeler insurance in order to get a valid coverage.